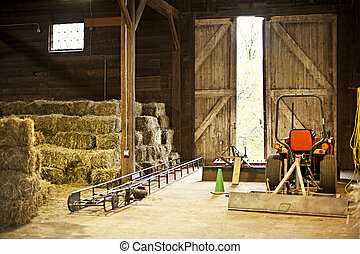 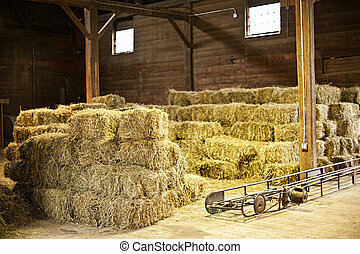 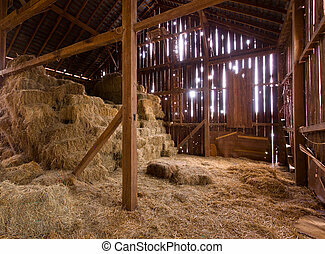 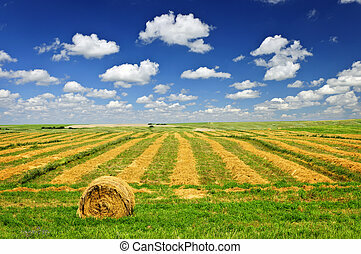 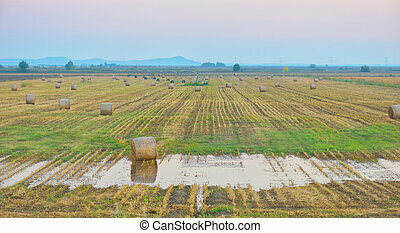 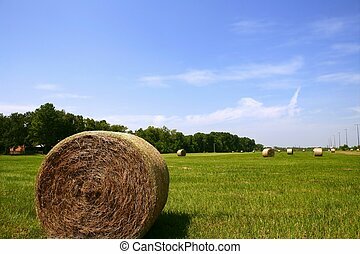 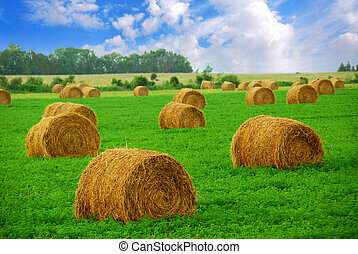 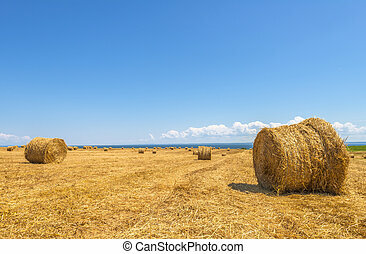 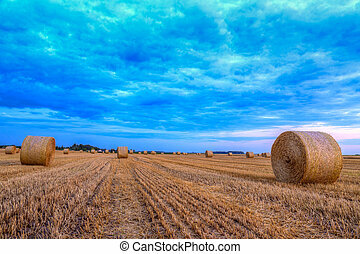 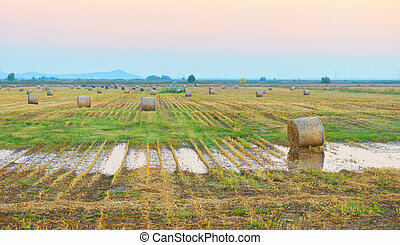 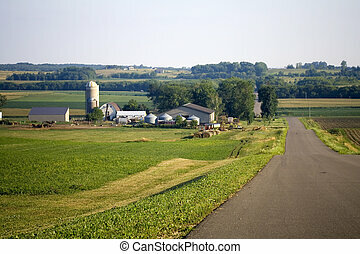 Farm field with hay bales. 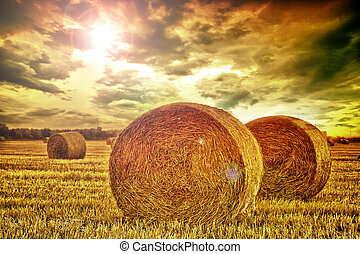 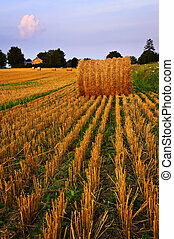 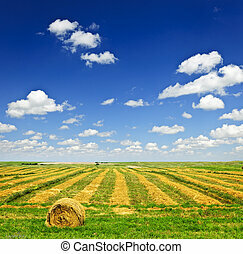 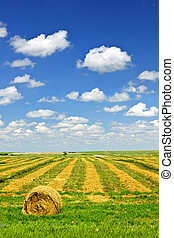 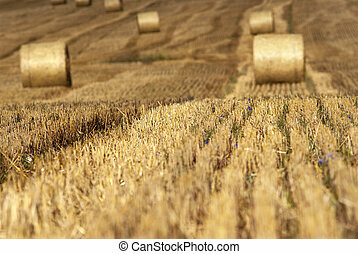 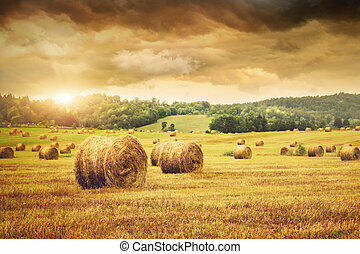 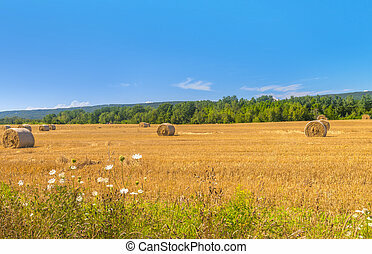 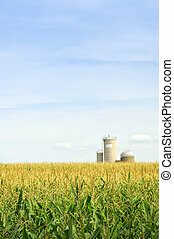 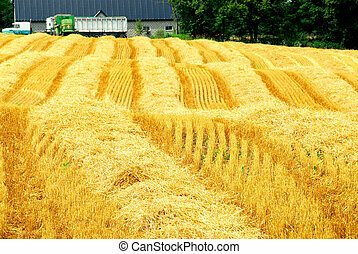 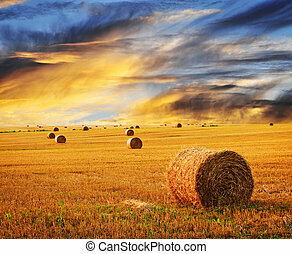 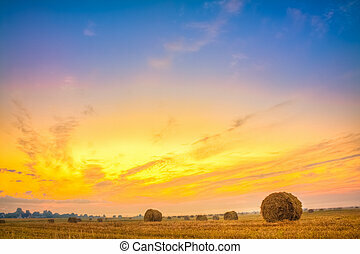 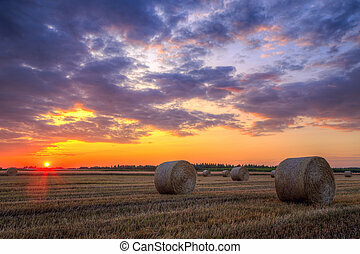 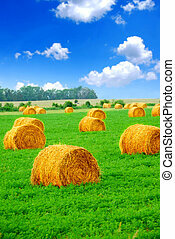 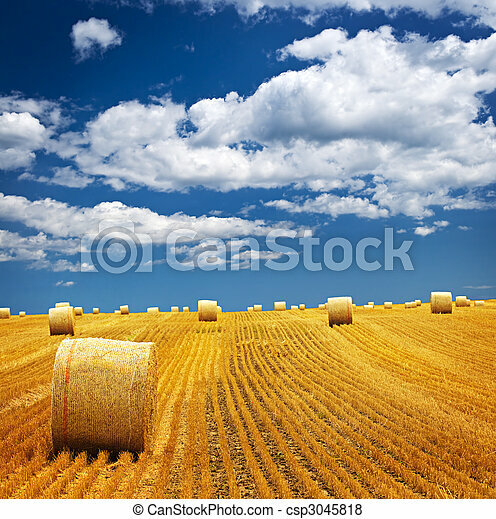 Agricultural landscape of hay bales in a golden field. 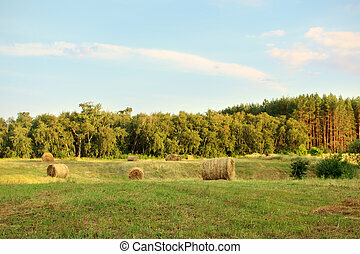 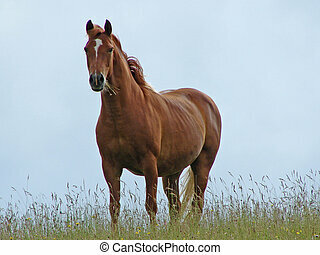 Field with cut hay. 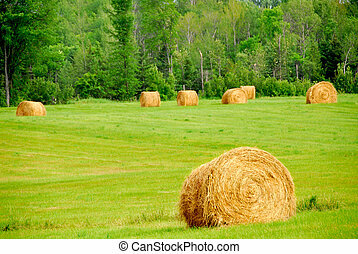 Focus on cut grass with bales in background.